“Cactus” by Elisabeth Marke was published by Barron’s Educational Series. Whether you’re a backyard or indoor gardener, you’ll find this book is invaluable in all respects. Whether you buy it as a gardening gift or purchase it for yourself, this belongs in every cacti lover's library. Lushly illustrated in full color, this contains over 275 gorgeous photos, including many of the cacti when they are in full bloom. Very easy to use, this guide features all the information you need to grow cacti successfully. At the beginning of the book, there is an in-depth discussion of how to grow and care for cacti throughout the year, and how to propagate them. There are step by step illustrated directions on all the gardening techniques readers need to know, such as repotting and propagation. The author provides a gardening calendar, which informs gardeners what the cactus are doing and the care they need throughout the year. The section on cacti problems is very helpful. The author discusses cultural problems as well as diseases and insects that are the most likely to occur. gives an in-depth background on the plants’ origins and their native habitats. 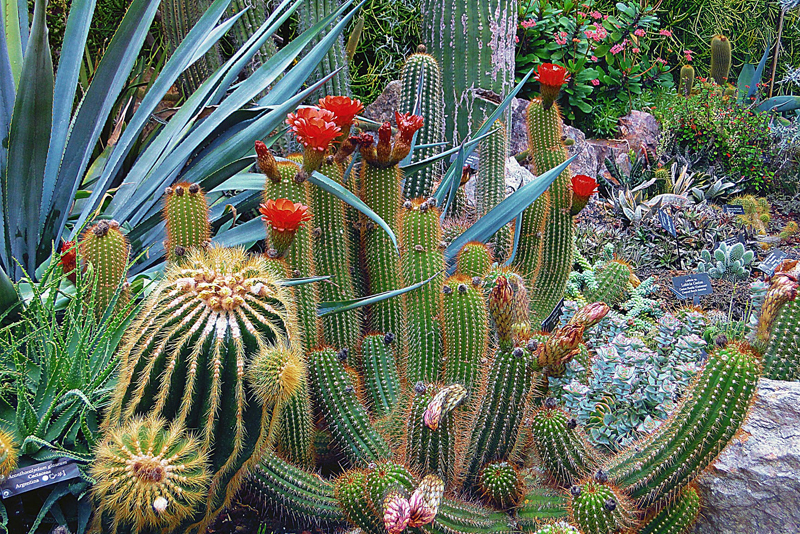 The very helpful plant directory features over 50 of the most beautiful cacti is very helpful. For each one, there are details on its origins, how to care for it, and how to propagate it along with descriptions of the various varieties. Throughout the book are sidebars with quick tips and additional information. It is easy to locate the plant you want. The plant directory is organized alphabetically by Latin name. There is also a detailed index with both common and Latin names. The appendix contains very helpful information, including a comprehensive listing of the various Canadian and America cactus societies, a list of sources that sell cacti, and a list of recommended books on cacti. There is also a helpful, color-illustrated glossary of terms.